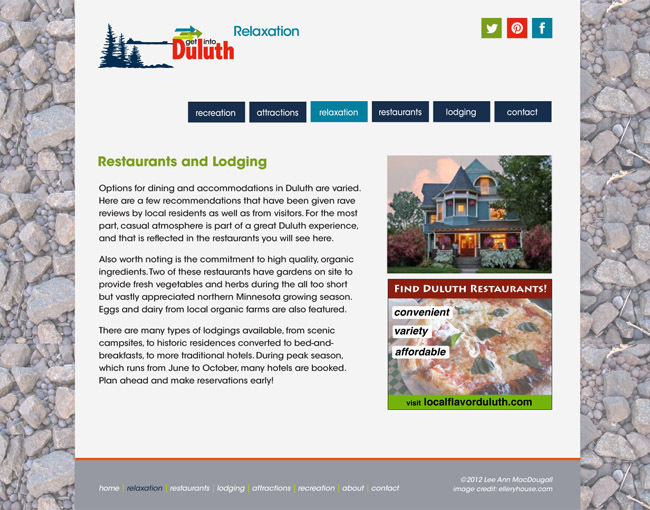 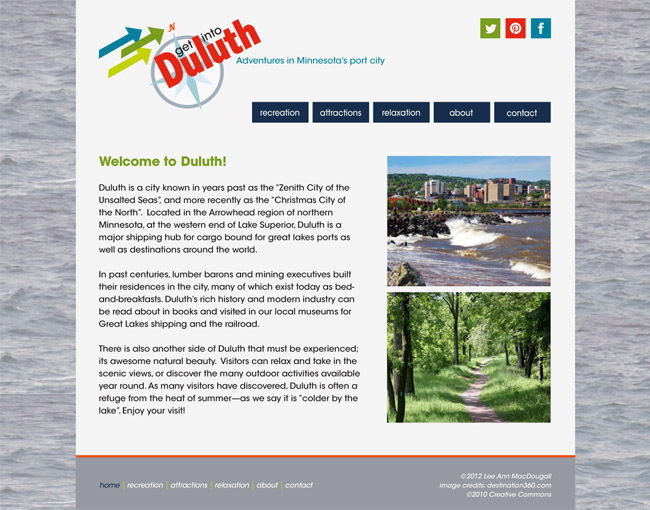 Planning and development process for a site intended for visitors to Duluth, MN. 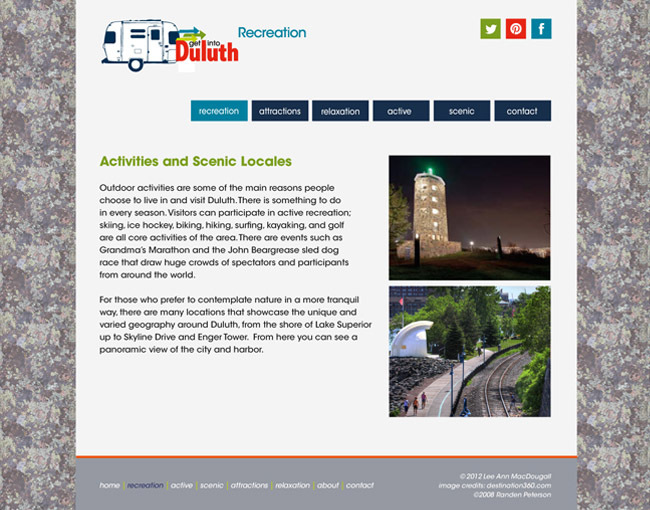 Clean layout and modern sans-serif typeface intended to make content easy to read. 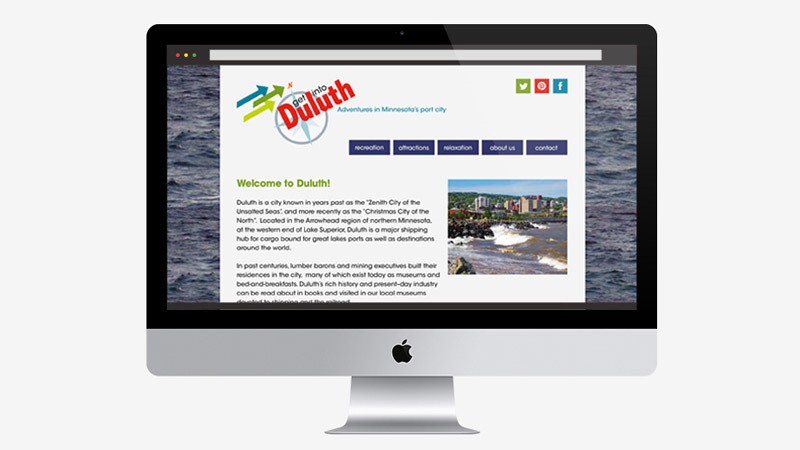 Bright color scheme for contrast and indicate Duluth's water and wooded landscape. 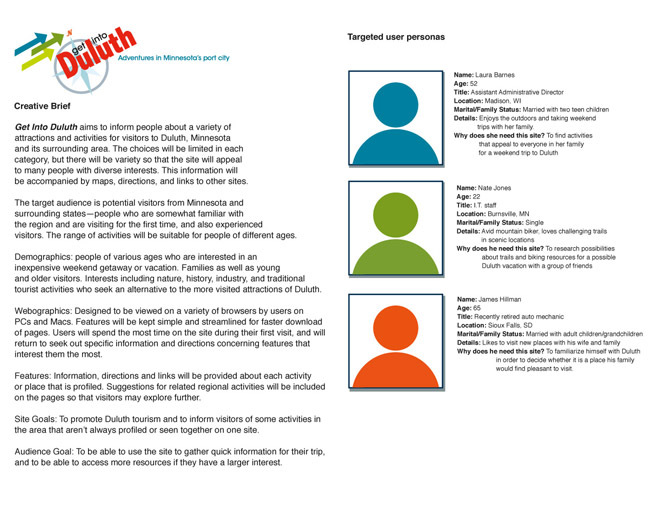 Custom header illustrations and mockups created in Adobe Illustrator. 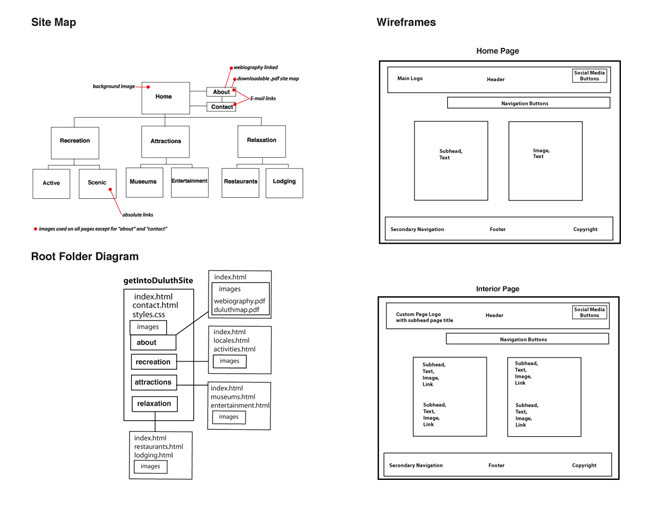 Site was originally developed in Dreamweaver.